These replacement atomizers are made available in two different styles. Each are designed for use with this a different type of consistency: one for thin essential oils and one for thick, waxy concentrates. The 1.8 ohm coil option is a small tank style atomizer that is designed for use with thin oils. This cartridge features a wick style atomizer with innovative top fill method that allows you to maximize the overall tank capacity while also completely eliminating the possibility of leakage. When choosing the 1.0 atomizer, you will receive the cartridge for thick concentrated material. 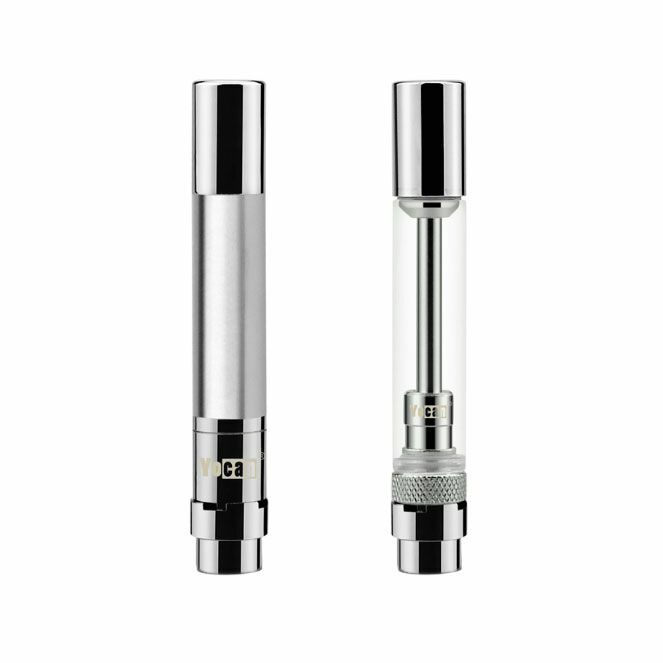 This atomizer comes stocked with a pure glass quartz heating element that will deliver only the purest and cleanest quality of vapor imaginable. Each of the Hive Replacement Cartridges connect to the hive's magnetic adapter (not included )that allows for quick and simple atomizer swaps. Simply remove your old atomizer, drop in the new cartridge and the strong magnetic connection will do the rest. Quickly restore your Hive Vaporizer to it's former glory with these replacement atomizers from Yocan Tech. Please note the Hive Replacement Cartridges do not come with the magnetic connector ring required to pair with the Hive device.